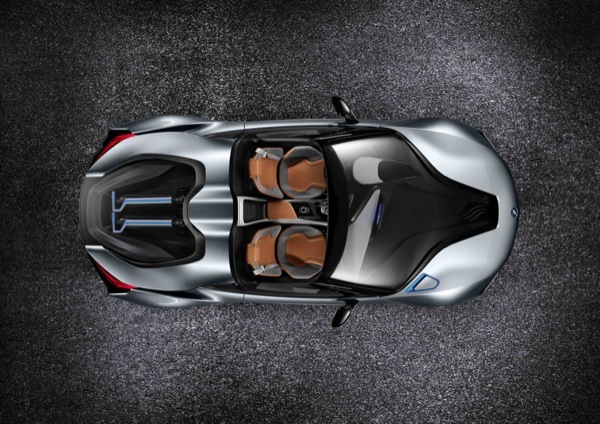 BMW’s sub-brand BMW i has unveiled its third concept, the i8 Spyder Concept. 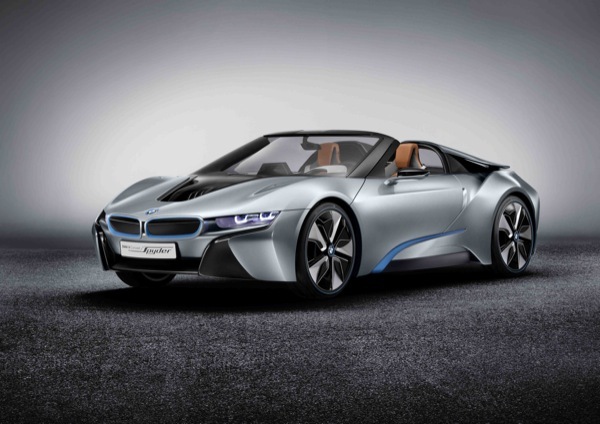 The BMW i8 Spyder is a plug-in hybrid powered by an eDrive drivetrain combining a high-performance electric motor and petrol engine. The electric motor pushes 131 hp on the front axle works with a turbocharged three-cylinder petrol engine sending 223 hp through the rear wheels for a total of 354 hp. BMW’s electric motor looks promising as it can be charged from any domestic power socket in less than two hours. 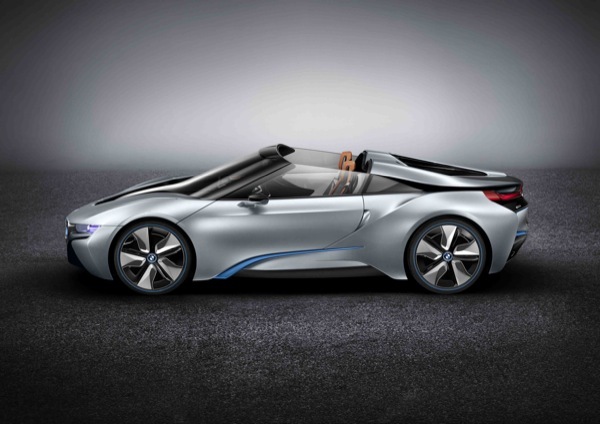 With the battery fully charged, the BMW i8 Concept Spyder can cover up to 19 miles on electric power alone. 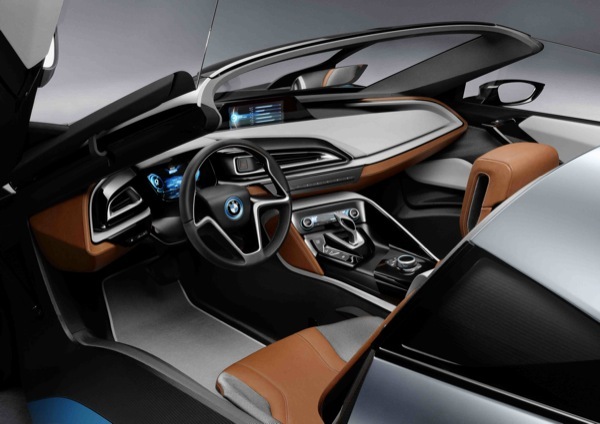 BMW has certainly gained a lot of hype in the past year over its i8 Coupe concept and hopefully with the i8 Spyder concept being released, there is always a possibility that we may see a production model in the near future.